(Dan Trimmer, 1996). (Ever So Ruffled X Chestnut Mountain) Semi-Evergreen, 6" flowers 28" scapes, Midseason. 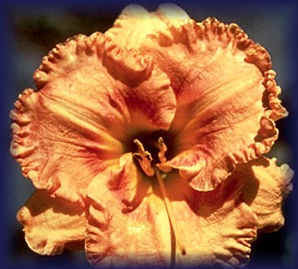 This super sunfast uniquely colored large bronze flower needs heat to really show off. 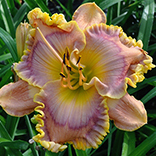 An excellent parent, MOHICAN SUN has very powerful pollen and makes large hardy plants.